It’s the first time I’ve invited someone else to share something of their life on Mums.Kids.Jesus. Welcome to Claire Musters, fellow mum, blogger and friend! I love that Claire hungers for more of God. I love that God has shown her ways to connect with him in the midst of motherhood. I know what Claire shares below will encourage you. Where ever you are at with God, however busy or tired you may be, God has a way for you to meet with him. This post contains affiliate links, meaning that if you click through and make a purchase, I may earn a small commission, at no extra cost to you. Thanks for your support! Your kids woke hours before the alarm went off. Your husband is rushing around trying to find his keys before heading out for work. The baby is screaming. Your head is throbbing. Your eldest is running late for school, and still only has her socks on. You haven’t even had time to think about yourself! In the midst of the chaos, does God really expect you to stay close to Him? The pace of life these days is quite extraordinary, and yet, whether we are out-at-work or stay-at-home mums, somehow we have to find a way to juggle all the chores and pleas from family and friends that vie for our attention. Can we really still find God in it all? Can we truly walk with Him in it? Now this may seem over-simplistic, but as soon as we climb out of bed we know we are going to be hitting the ground running, playing catch up all day, so try a quick prayer inviting God to help you as you get up. I notice such a difference, particularly in the mad rush of the morning, when I don’t remember to speak to Him. Asking the Holy Spirit to dwell with you afresh and help you with your family is a great way to start the day and literally only takes a minute! 2. Play worship music during your day. I felt so distant from God when I had my first child – I almost grieved the precious time I had had to commune with Him without interruption. I was really, really struggling when our pastor’s wife asked me whether I played worship music when I was at home with my daughter. I couldn’t believe I hadn’t thought of it myself. As a musician in our church I usually surrounded myself with music, but in the tiredness of having a newborn baby I hadn’t even been able to bring myself to put on a CD! When I did, it was an amazing lift to my spirit (and I’m sure contributed to my daughter’s love of music and keenness to join in worshiping God now). 3. Grab moments with God where you can! It was total revelation to me when I discovered that snatching a minute here and there throughout the day was a good way of staying in touch with God. I had been beating myself up about the fact that I was missing quiet time after quiet time and yet I was letting loads of little opportunities slip by. When I started grabbing those – and they have often included one child clinging to me at the same time – I began to feel closer to God again. You don’t need an hour’s quiet time to be a good Christian! 4. Ask God to reveal more about Himself to you through your everyday activities. Whenever I’m getting too caught up in rushing here and there, I remember what it was like when both my children started walking. They wanted to walk everywhere, but didn’t really walk faster than a snail’s pace – much to my frustration and annoyance. I’m the sort of person who just wants to get to where I’m going and get on with what I have to do. But God really challenged me on that and told me to get down onto their level. When I allowed myself the time to look at things through their eyes it was like discovering the world afresh. A tiny insect on a path, a cat strolling past, a car window – all these things my children looked at wide-eyed with wonder. When I shared it with them I could see the awe of God’s creation afresh. The old adage “Take the time to smell the flowers” really does ring true. 5. Spend time with friends who will do you good! Just getting out and being with people who have a positive impact on you is important. It really is worth the effort – and believe me I know what an effort it can be to get out of the house! Once with friends you can offload and talk through any difficulties together. I assure you, you won’t be alone in your experiences. Every time I am tearing my hair out, thinking I must be the world’s worst mum or wife, there is always a friend who has had a similar experience to me who can offer words of wisdom, encouragement and help. Close Christian friends can also remind you of God’s goodness – something we seem to forget far too easily when we are travelling at break-neck speed to keep up with our stressful lives. Claire’s note: I jotted down the above thoughts a few years ago, and recently revisited them. My children are now both in school, which gives me a little more space (although I use that time to work and also serve alongside my husband when necessary in our capacity as church leaders). But the principles I share above still make such a difference in my life, helping me connect with God each day in a meaningful way. Claire is a freelance writer, speaker and editor, pastor’s wife, and mum to two gorgeous children. Claire’s desire is to help others draw closer to God through her writing. Her books include Taking your Spiritual Pulse, CWR’s Insight Into Managing Conflict and Insight Into Self-acceptance, Cover to Cover: David A man after God’s own heart and study guides on Prayer and Jesus. Claire also writes a regular column for Christian Today. To find out more about her, and her upcoming books, please visit www.clairemusters.com and @CMusters on Twitter. 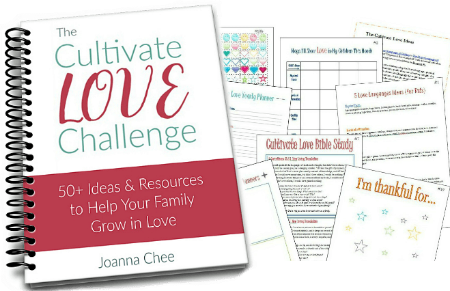 Need practical resources to help you connect with God as a mum? Yes! You can pin this post! This post is part of The Mums With Jesus Series. Thanks for reading! I feel blessed to know they are still young and I can intentionally enjoy having them around so much! My youngest is still at home and I love it. But oh, those mornings… They are so full of activity. Thank you for the reminder to invite God in my day, my activities – and to really seek Him throughout the day. Thanks so much for sharing this. As the mother of two young children, I can definitely relate.